Globally acknowledged and inspected, Liden and Denz language centers are international established institutions for learning Russian as a foreign language. Our schools are located in Moscow, Saint Petersburg and Riga, Latvia, where our attractive built institutions are located centrally. Our Courses are offered for all kinds of levels and are run with year round with dates with identical programs and prices identical for all our locations. Working in small groups allows us to combine intensive teaching with a personal and communicative approach in a friendly atmosphere. This allows students a faster progress in learning und speaking and also keeps motivation at a high level. Liden & Denz also is an official examination center for the Russian telc exam. with the latest technology (iPads, free Wifi for students, TV screens). Moderately priced places for lunch can be found around the corner from the school. I studied for nearly three months at Liden and Denz Moscow Language Centre and thoroughly enjoyed the experience. The classes are no larger than 12 students and grouped according to each individual's comprehension level. I signed up for four hours of group instruction five days a week. The course prices are also very reasonable. In just a short period of time, I was able to rapidly improve my Russian grammar and vocabulary, as well as build confidence with speaking. It was a pleasure studying with people from other countries with various reasons for learning Russian. The teachers and administrators are all very skilled, knowledgeable and helpful. I strongly recommend Liden and Denz to anyone who wants to learn Russian! I began interning for Liden & Denz Moscow Center in mid-October, and so far the experience has been exemplary. There were some issues with my flight and I ended up arriving significantly ahead of when I had told them to expect me, fortunately I was able to get in contact with them and very soon afterwards a cab was at the airport to take me to the school. This was the first but far from the last example of Liden & Denz providing amazing customer service. I also received help with obtaining a package I had shipped to myself in Russia, and navigating the Russian postal service by myself would have been a daunting task. I've been extremely impressed not only by the professionalism of the staff here, but also their generosity and willingness to help at all times. This does not extend only to assisting me with personal issues, but also in my courses. I received personal lessons for the entire duration of my internship with Liden & Denz, and my teacher has been amazing. She has formed lessons based around my own self defined needs and purposes, and because of that my vocabulary in my field of work and my confidence in speaking Russian has grown exponentially since arriving here. Not only this, but she is also extremely accommodating in the rare instance when I am not able to make a pre-scheduled lesson, and setting up another time has never been an issue in the slightest. I had studied Russian for two years in college, but hadn't studied my last year of college and by the time I got here it had been nearly two years since I had last been in a Russian classroom. I was very nervous about speaking at first, but my teacher has done an amazing job at making me feel comfortable, and helping to correct and improve my Russian in a way that doesn't make me feel foolish or embarrassed. Finally, Moscow itself is a stunning city. I cannot overstate my adoration of this city. 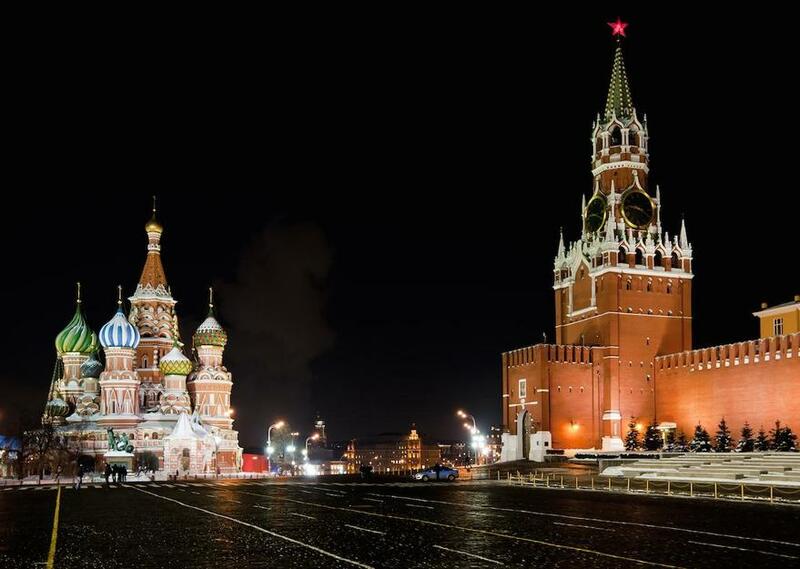 Being in the heart of such a massive and important country as Russia has tremendous significance to me, and the beauty of much of the architecture combined with the electric and never still atmosphere of the city make for an experience unlike many others. Liden & Denz outings and excursions have brought me to parts of the city and shown me sides of it I haven't seen before, despite having been here before and having lived here for a while now. I'm leaving soon, but it has been an amazing time here, and I have Liden & Denz to thank for that. I had a truly memorable two months studying at Liden & Denz in St Petersburg. Not only did my Russian come on leaps and bounds but I made a some great friends in the process. The school is of course to thank for this. I could not fault the teaching and the learning environment is incredibly inclusive and welcoming. Couldn't recommend it enough. I can only recommend the school! I had a wonderful time there. The staff are all professional and approachable people. I always felt happy and safe within the school environment. I already miss it! The quality of teaching is top draw and I can confidently say that my Russian is sharper than ever before. A warm thank you to all the staff at Liden & Denz! I went to Liden & Denz 4 times in total. I always had fun there. Teachers are amazing and I really felt I improved my Russian a lot. Really impressed with the quality of the teaching, not a dull moment. Feel my Russian has come along, grateful to all the teachers for their hard work and inspiring methods! I had the wonderful opportunity to study Russian language (and to work as an intern too) for a month at Liden&Denz in Moscow from June to July 2017 and I cannot do other than strongly recommend the school for its efficiency, its friendly atmosphere and the professionalism of its teachers. I noticed an incredible improvement of my communication skills, thanks to the teachers and the well-organised classes. Loved it! I chose Liden & Denz because it seemed to be a professional school for Russian language - and I was right. I really enjoyed the classes which were not only entertaining but also instructive. Teachers are great and my classmates were so international which made it more interesting. Big plus: the school is located quite central and close to a metro station on the circle line! I spent 4 weeks at the Liden & Denz Intercultural Institute of Languages in Moscow. I really enjoyed my stay and spent a great time in Russia's vivid capital. Due to excellent teachers and small classes I could improve my Russian skills significantly. Also, I met a lot of new people who became very good friends. I can definitely recommend to study at Liden & Denz. Not only will you improve your Russian skills, but also enjoy a great time with other students from all over the world. I spent one month studying Russian at Liden and Denz Moscow and interning there. It was a wonderful experience. The classes are small - no more than 10 people, and the teachers are dedicated and interesting. I felt that after 4 weeks of courses my Russian had improved a lot, and I had a fantastic time in the process. The students are all ages, from all walks of life and all over the world, which makes for a varied learning experience. The school offers trips to visit key Moscow sights - the only improvement would be if there were even more of them!